Kim K's Balenciaga boots were slightly too big for North West. 7. 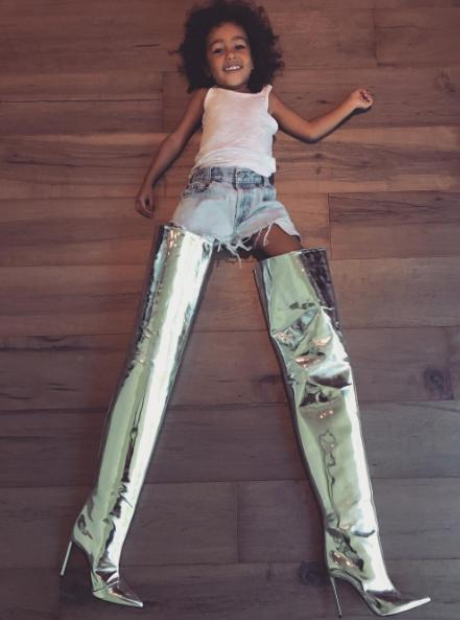 Kim K's Balenciaga boots were slightly too big for North West.